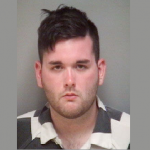 CHARLOTTESVILLE, Va. (AP) — A man convicted on state murder charges in a deadly car attack at a white nationalist rally in Virginia pleaded guilty Wednesday to federal hate crime charges in a case that stirred racial tensions across the country.James Alex Fields Jr., of Maumee, Ohio, pleaded guilty to 29 of 30 federal charges stemming from the “Unite the Right” rally in Charlottesville on Aug. 12, 2017. He did not plead guilty to one count that carried a potential death penalty. Fields appeared stoic, with hands folded in front of him for much of the hearing. He did not speak, except to repeatedly respond “yes, sir,” when U.S. District Judge Michael Urbanski asked him if he was pleading guilty knowingly and voluntarily.Urbanski scheduled sentencing for July 3. Fields faces a life sentence. Fields, 21, was convicted in December of first-degree murder and other state charges for killing anti-racism activist Heather Heyer and injuring dozens of others. A jury found that Fields intentionally plowed his car into a crowd of people protesting against the white nationalists. The “Unite the Right” rally on Aug. 12, 2017, drew hundreds of white nationalists to Charlottesville to protest the planned removal of a statue of Confederate Gen. Robert E. Lee. Hundreds more turned out to protest against the white nationalists. The car attack by Fields came after violent brawling between the two sides prompted police to disband the crowds. During his state trial, prosecutors said Fields — who described himself on social media as an admirer of Adolf Hitler — drove his car directly into a crowd of counterprotesters because he was angry after witnessing earlier clashes between the two groups. The jury rejected a claim by Fields’ lawyers that he acted in self-defense because he feared for his life after witnessing the earlier violence. More than 30 people were hurt in the car attack. Some who received life-altering injuries described them in anguished detail during the state trial. Jurors in Fields’ state trial recommended a life sentence plus 419 years, although a judge still has to decide on the punishment. Sentencing is scheduled for July 15.